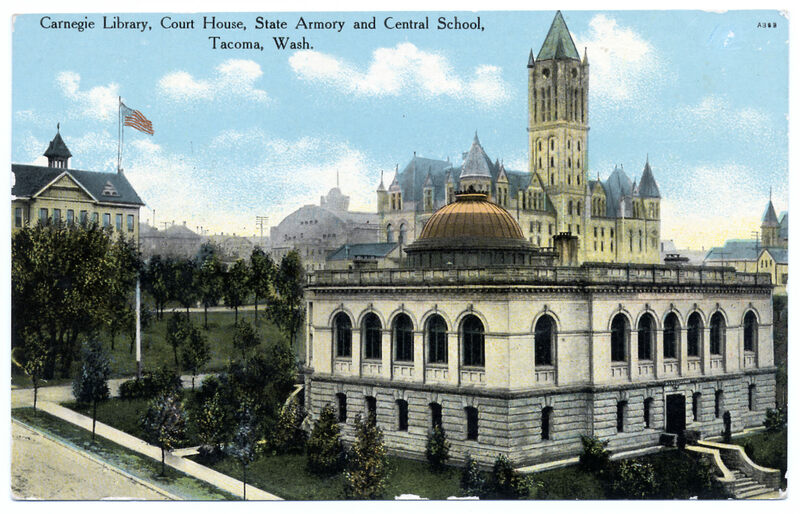 January 1930 would have started off as a very dark year in Tacoma without the assistance of the U.S.S. 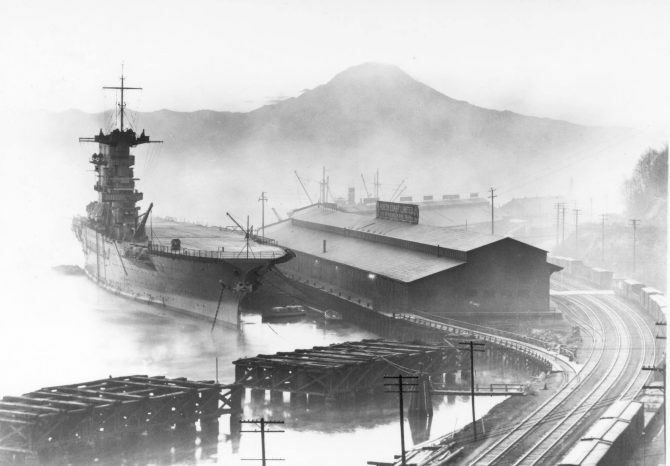 Lexington, pictured here encircled by mist at Baker Dock. She arrived in Tacoma about December 17, 1929, and remained to mid-January, 1930, to provide electricity to the City of Tacoma. A severe drought in 1929 had left dams without sufficient water. After much negotiation, the fourth largest ship afloat (at that time) was ordered by the Navy to aid Tacoma; it was the first time in history that a ship had provided power for a city. The U.S.S. Lexington, badly damaged in the 1942 Battle of the Coral Sea by Japanese fire, would be sunk by the American destroyer, U.S.S. Phelps.